Vascular Surgery Associates (VSA) was originally founded over 30 years ago by Drs. William Long & Thomas Lawhorn; the first fellowship trained Vascular Surgeons from Emory University in Atlanta, Georgia. In 1992, our practice added a third board certified vascular surgeon, Dr. Lawrence Kaelin, a fellowship graduate from the University of Florida. In 2000, VSA then added the services of Dr. Charles Bianco, a board certified Vascular Interventional Radiologist who performed pioneering primary endovascular interventions at Tallahassee Memorial Hospital. Our tradition of expanding our practice with physicians that are specifically fellowship trained in treating the full spectrum of vascular disease has been a cornerstone of our philosophy. VSA has always strived to be ahead of the growing vascular needs of the Tallahassee community. Due to the needs of our growing population and the retirements of our founding surgeons, our practice was joined by Dr. Robert Hoyne and Dr. Robert Brumberg, both board certified vascular surgeons from the University of South Florida Vascular Program. In 2011, Dr. Mitchell Massie, a graduate of the University of Massachusetts fellowship program, joined the practice. More recently, we added Dr. Denise Smith in 2017; she’s a graduate of the University of Cincinnati, having also earned her PhD in Biomedical Engineering there. We have a large patient community and in this regard, VSA also has five nurse practitioners who are all well trained in vascular medicine. In 2006, Amy Fraser joined the group with specific training in Vascular Diagnosis and Treatment. Cassie Davis joined us in 2009, with a background in Aesthetic & Primary Care Medicine. In 2013, Cory Collins joined VSA, bringing a significant amount of hospital and office-based patient care expertise. In 2015, Candice VanDerSchaaf came on board to assist with hospital-based patient care, such as Rounds, Consults, Open surgical procedures and Interventions. Just recently, Ashley Fleming (f.k.a Ashley Childs) rejoined VSA, to add further hospital, OR and interventional experience. 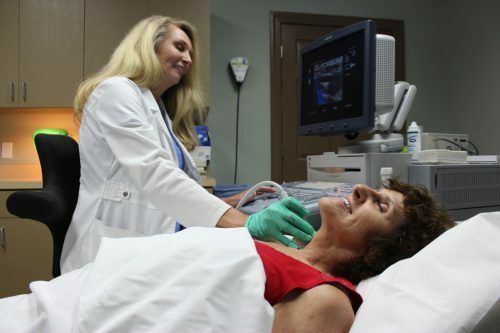 At VSA, we firmly believe we have the required expertise in all areas of vascular care, from simple medical therapy and minimally invasive procedures to performing complex operations when necessary. 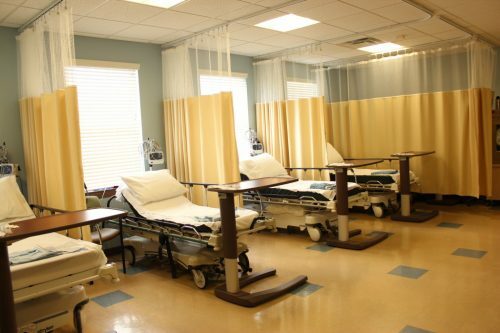 Our practice utilizes leading technology and treatment options, and we have a track record of outcomes that consistently exceeds the national standards. VSA physicians and nurse practitioners treat all ranges of peripheral arterial and venous disease, including carotid stenosis, aortic and peripheral aneurysms, upper and lower extremity vascular disease, kidney and gastrointestinal vascular disease, vasculitis, hemodialysis management, venous insufficiency and varicose veins. 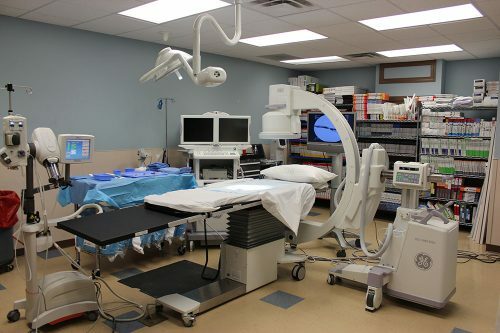 Since the practice’s inception, we have had a fully functional non-invasive vascular lab on-site. Accredited through the Intersocietal Accreditation Commission , it facilitates the diagnosis and treatment of vascular disease and offers our patients the convenience of having their tests performed during the same visit as their appointment. Staffed by registered vascular technologists with specific training in vascular disease, we are able to diagnose and devise treatment plans for our patients during their initial examination. In keeping with our philosophy of being on the cutting edge of vascular medicine, we created and opened our outpatient endovascular center in April 2011. This innovative center is managed by our Radiology Practitioner Assistant, Cameron Carroll, and it focuses on performing our minimally invasive vascular procedures with the utmost patient comfort and ease. 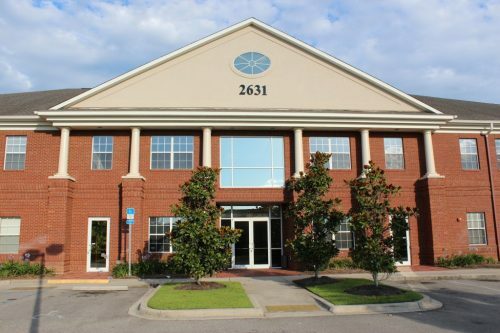 In this center, most of our angiographic and vascular access procedures are performed with the latest technological advances offered in the greater Tallahassee area. The philosophy of our practice is to be “Patient Centric.” It is our goal to treat each patient as we would want ourselves and our loved ones to be treated. We appreciate the support our community has shown VSA and we will continue to strive to provide the highest level of vascular care possible. Looking towards the future, all of us at VSA believe that our dedicated team, combined with our larger office space, accredited non-invasive vascular laboratory, innovative endovascular center, and paperless electronic medical record, will continue providing the highest and most efficient level of care throughout North Florida and South Georgia. We welcome you to browse our website to learn more about our staff and what Vascular Surgery Associates can do for you.